N estled between the Cascades and the Trinity Alps, the Shasta Region is a community of natural beauty, abundant recreational opportunities and unsurpassed quality of life. Residents and visitors enjoy the peaceful days surrounded by rugged mountain peaks and breathtaking vistas in this Jewel of Northern California. With a diverse culture and prosperous center of commerce and industry Shasta embodies all the benefits of living in Northern California. Its central location on I-5 has contributed to its status as the nationally recognized marketplace of Northern California. Having been long recognized for its quality business environment, with an outdoor lifestyle, clean air, and a bustling metropolitan area in Redding, Shasta County is the ideal location to establish a business. With an average of 321 days of sunshine per year, Redding is the second sunniest city in the nation. Climatologists describe the climate in the Redding area as Mediterranean, with hot, dry summers and cool, wet winters. According to Sperling’s Best Places, the Northern California Cost of Living is among the lowest in the Western United States. The region’s educational system includes great public and private schools, quality early childhood education, high schools scoring above average in STAR (Standardized Testing and Reporting) and SAT exams, an excellent community college, private, accredited, four-year colleges, and a nearby university. Schools range from small sites of less than 100 students in grade school to large high schools serving over 1,000 students. In 2014 Shasta High School posted a graduation rate of 97.6%. And of 1,511 children ages 5-6 years-old, 1,347 were shown to be kindergarten ready. 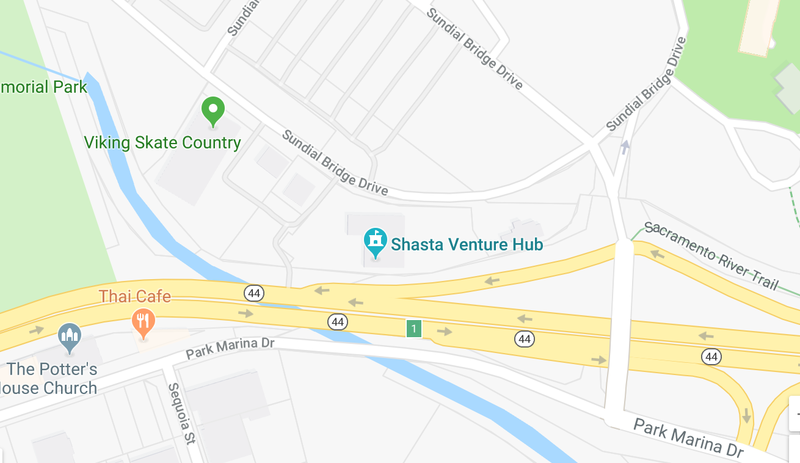 Shasta Community College is located just five minutes from downtown Redding. The 39-building campus is located on 337 acres serving the students as well as the community. A diverse array of occupational programs is offered at the college, two of the most significant are the Electronics Vocational Training Program and the Nursing Program. 12,000 students are enrolled. A California career-focused college. The Redding location offers courses in the medical field. National is a private university offering a range of four-year and graduate degrees in business and technology; education and human services; and arts and sciences. Classes are designed toward working adults. Shasta’s median house price for October 2015 was $236,540. Shasta’s median income was $46,870 which means that the average resident could well afford a home in the area. Only a handful of counties in California had homes that had median income that could afford their homes; Shasta was one of seven in California. The average rent price is $1,000 which includes studios, country properties and small homes. Whether seeking a quiet residential neighborhood, riverfront condo, or a home in the country, there are numerous homes and rentals available in the region at an affordable price. The assortment of available housing includes everything from luxurious homes and estates to smaller starter homes and conventional apartments. First-time homebuyers programs to assist low-income families are available through the County of Shasta and cities of Redding and Shasta Lake. Below are some examples of income bands with a typical income to loan ratio. The average commute time is 20.1 minutes. With an abundance of newer neighborhoods Shasta boasts some of the best parks, walking trails, schools, and medical facilities in the region. 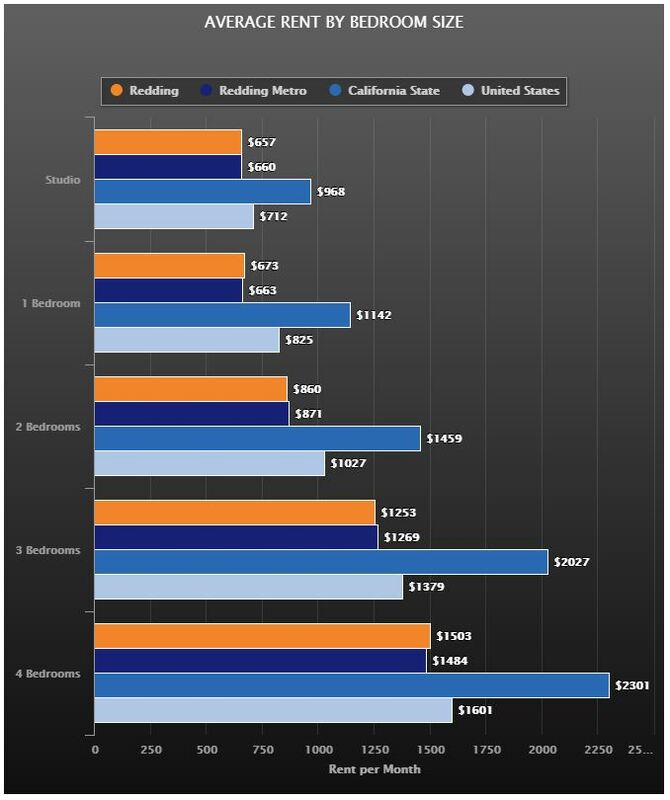 Rent in Redding is more favorable than other areas. As the regional hub of healthcare for Northern California, Redding offers the finest medical professionals and the latest healthcare technologies. The region is well-served by major, world-class medical hospitals with state-of-the-art treatment facilities. The hospital has received the National Research Corporation’s Consumer Choice Award for eight consecutive years. Additionally, Mercy Medical Center Redding was recently recognized by U.S. News & World Report for high performance in all five areas of adult treatment, including knee and hip replacement, heart failure, bypass surgery, and pulmonary disease. Also honored by the American Heart Association/American Stroke Association for their stroke program. Ranked as a 100 Top Hospital in the U.S. for the third year in a row and twice chosen as a 50 Top Cardiovascular Hospital in the Nation by Truven Health Analytics, achieving this recognition based on performance metric of higher patients survivor rates, lower complications, reduced readmission rates, patient satisfaction scores and other quality measure. Shasta Regional Medical Center is proud to have earned National recognition, but the real honor is playing a vital role in saving lives in the community. Serving the Intermountain region of Shasta, Mayers Memorial provides essential emergency room care, as well as many outpatient services. Additionally, the only veteran’s medical facility north of Sacramento is located in Redding. Shasta is governed by general law with an elected Board of Supervisors; Redding, Shasta Lake City and Anderson each have the Council-Manager type of government. With Redding, the largest city between Sacramento and Portland in its borders, the region is recognized as a thriving hub of retail services and markets. Because the fact is, in Shasta you’re already ‘There.’ The things to do and sights to see are almost limitless … and all are almost as close as your own backyard. Like to ski? Enjoy snow skiing in the winter and water skiing in the summer … within a stone’s throw. How about hiking? Or mountain biking? Take off from your doorstep, if you wish, and find yourself quickly surrounded by towering forests, fertile meadows and meandering streams. River fishing? Lake fishing? Take your pick. You may have to fight the fish – but you sure won’t have to fight the traffic to get to the fish. Sailing, houseboating and simply exploring along the Sacramento River are part of ‘the package’ if you like … easy, relaxing, and just plain fun. Is playing golf your passion? No matter how low your score, you’ll find the courses, challenges and scenery to be way above par. Located at the gateway to the Shasta Cascade Region and Shasta-Trinity National Recreation Area, the region offers a seemingly endless variety of recreation possibilities. Redding is the fly-fishing mecca of the Golden State. Field & Stream magazine listed Redding as the 19th best town for anglers to live. The City of Shasta Lake is the gateway to Shasta Dam. Recreation awaits! There are over 50 City-owned and maintained parks in Redding, Shasta Lake and Anderson. The Arts play an important role in Shasta as residents take an active interest in the region’s cultural community. The Shasta Region offers what many people are searching for – a more relaxed, less complicated lifestyle, abundant recreational resources, safe and healthy surroundings, and a sense of family and community – without compromising objectives for personal and professional growth. The area is the perfect blend of small town ambiance and big city amenities. Excellent shopping, the latest in cultural and educational facilities, and a wide variety of outdoor activities are all part of the appeal of this vibrant community. While the region has expanded and grown throughout the years, it has managed to retain its fundamental values and concern for its residents and business people. It has succeeded in promoting urban growth while protecting the natural resources and delicate environment.